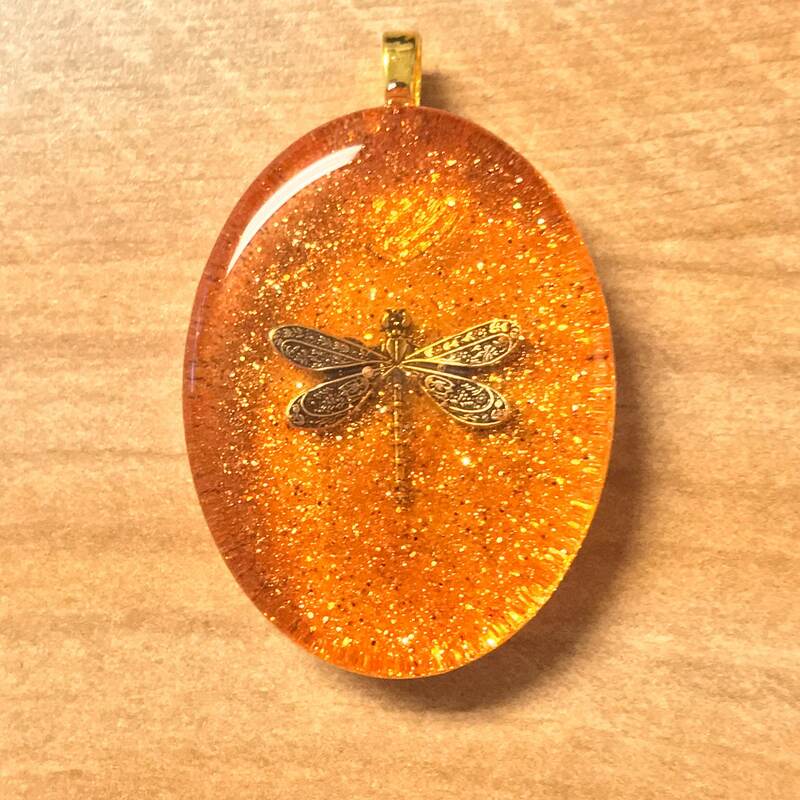 One of a kind Large Pendants made with a Dragonfly in Amber colored resin. 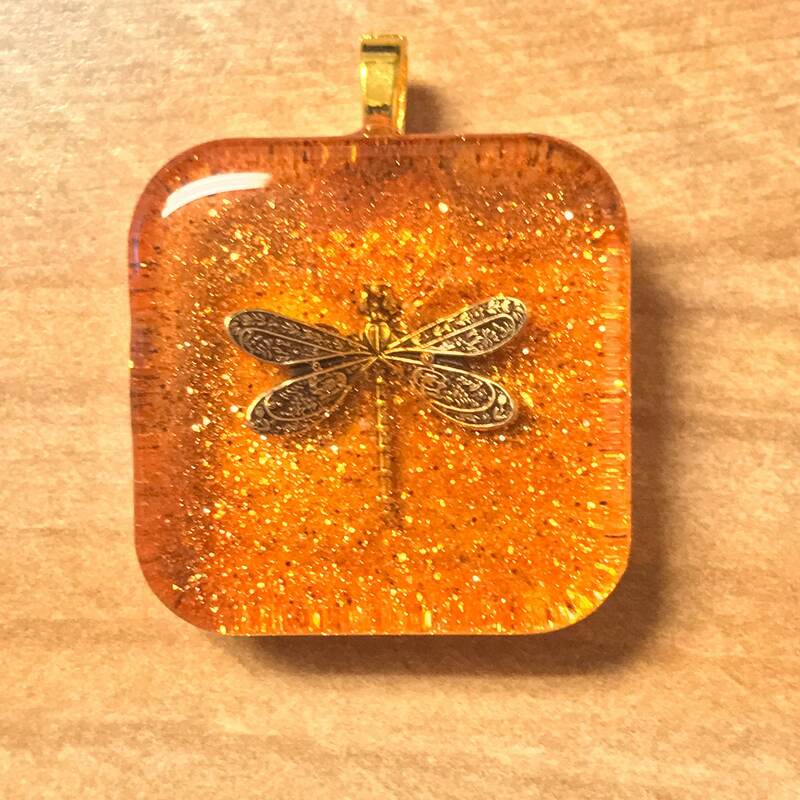 Round (1.2"), Square (1.2"), Oval (1.5" tall) with the brass colored dragonfly suspended in amber colored resin. Brass Bail with a 20" Antique Brass TINY ball chain 1.5mm with lobster clasp. The pictures barely show how sparkly they are. 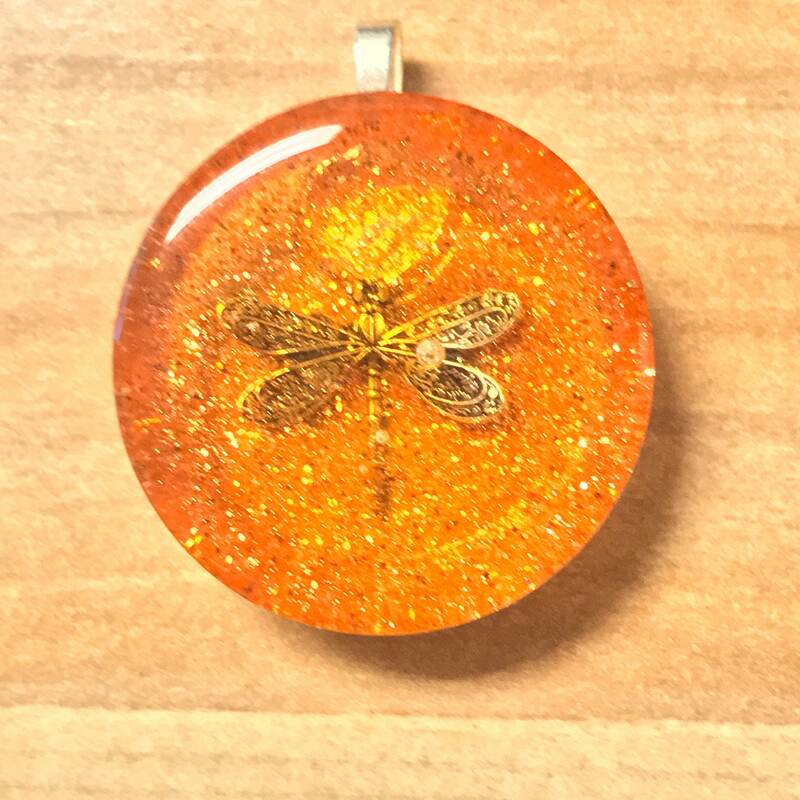 These resin items all made by hand vary slightly and may have small bubbles or imperfections, but the ones currently for sale will be in the photos. 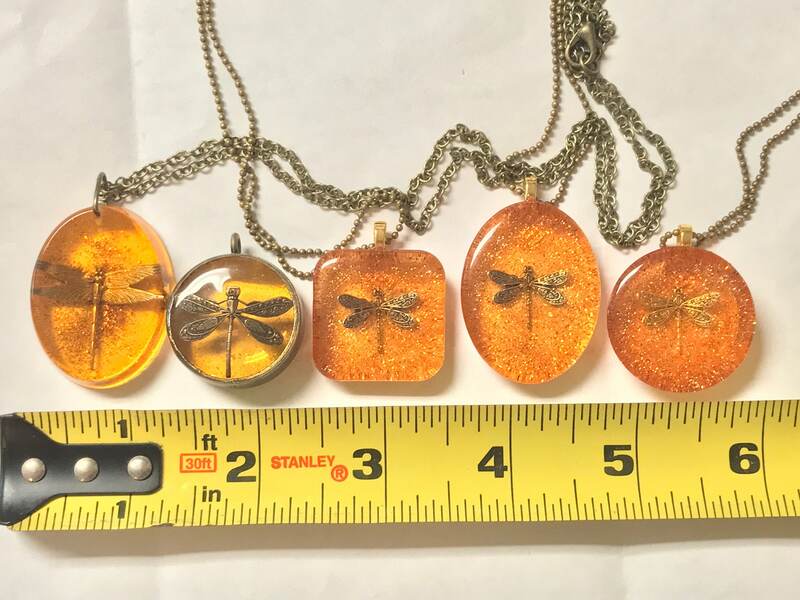 All items are nickel and lead free. Extremely fast service. 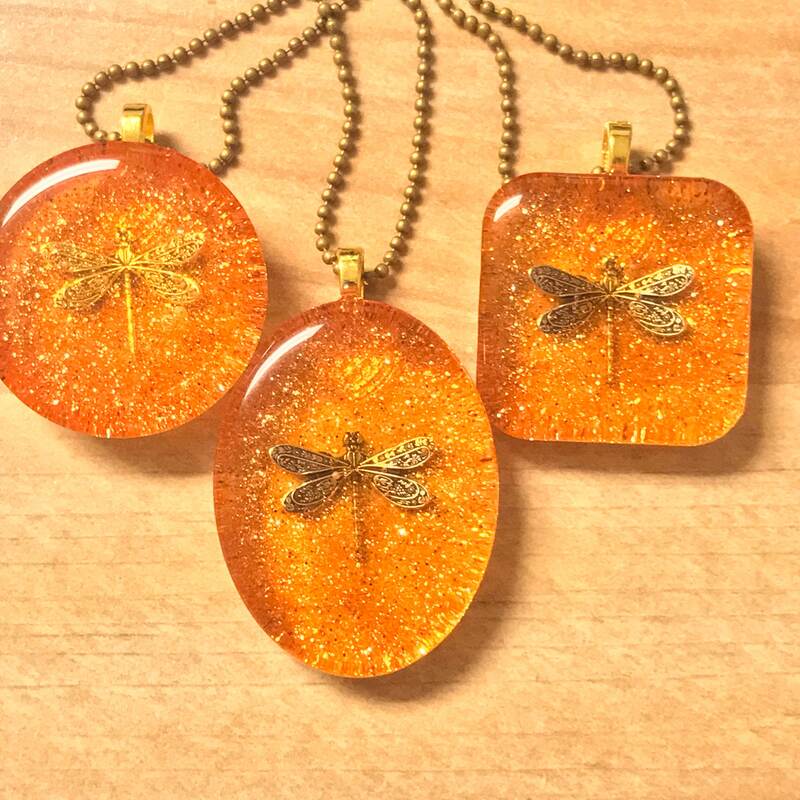 Item is exactly how it is shown in picture beautiful quality and exactly what you might want when buying something for the love of the book series Outlander by Diana Gabaldon. I am already getting many many compliments on it. I love it.